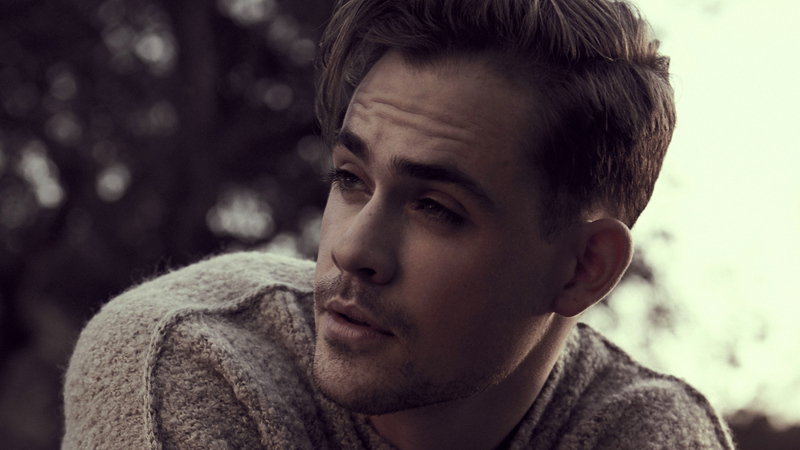 Dacre Montgomery Age, Height, Dating, Girlfriend, Sister, Is He Gay? Home Actors Dacre Montgomery Age, Height, Dating, Girlfriend, Sister, Is He Gay? Being a Hollywood celebrity didn’t come as a shock to Dacre Montgomery. He had always been ready for it from a very tender age. It’s safe to say that he was born to do what he is doing. This is why within a short time in the industry, he has already caught the attention of movie lovers and media houses alike. He even has a signature face that can be costumed to look like a 16-year old and a 61-year old at the same time. Dacre Montgomery crept into the hearts of many fans for his portrayal of Jason Lee Scott in Power Rangers and Billy Hargrove in Stranger Things. The spectacle he put up in Power Rangers was nothing compared to the stunt he pulled during his audition. He left the moviemakers with no atom of doubt that he was the right guy for the role. He has since enjoyed a great spell in movies and on TV. The dawn of November 22, 1994, heralded the birth of Dacre Montgomery. Born in Perth, Western Australia, the city where the Swan River meets the southwest coast. He is the son of Scott Montgomery-Harvey, a New Zealander, and Judith Barrett-Lennard, a Canadian. Both parents were movie makers in Australia. Little wonder the Dacre Montgomery took interest in acting early in life. At 9 years old, Dacre Montgomery had started making screen appearances and performing in theatres. This was highly influenced by his parents. However, he developed a flair for acting and would see himself pursuing a career in the movie industry. Though his parents didn’t mind him delving into acting, they still wanted him to get an education. He attended Mount Lawley Senior High School in Perth. While there, he took classes in dramatic arts. He was so good that his classmates voted him to be the most likely of them to become a Hollywood celebrity. On the flip side, he used to be fat and hence was a victim of bullying. Dacre Montgomery was not one that was academically inclined. He struggled with his grades. What he lacked in academics, he gained with his acting prowess. He continued his acting degree after further studies, which he finished at Edith Cowan University in the summer of 2015. Dacre Montgomery enjoyed all the attention that came with being the only child for 12 years. Though it took longer to come, he had his long-awaited sibling. Dacre Montgomery, in one of his social media posts, recalls when his sister was born and how glad and proud he was to be a big brother. He further said that carrying her in his hands gave him a sense of responsibility. Is He Dating, Who Is His Girlfriend? Dacre is involved in a hot romantic relationship with Australian model, Liv Pollock. In 2018, Pollock put her studies on hold to join her celebrity lover in Atlanta during the shoot of the third season of Stranger Things. Though there were suspicions that she felt insecure, knowing her boyfriend is a Hollywood celebrity, she denied being threatened by his celebrity status. In an interview with The Telegraph, Liv Pollock said that they were attracted to each other because of their mutual disposition to art and design. She went on to say that their relationship is not threatened by Dacre Montgomery’s growing fame. The duo has been seen together in a couple of red carpet events including the Emmy Awards. They look so inseparable. There have been speculations about Dacre Montgomery’s sexual orientation. His often facial expressions and gesticulations haven’t helped the situation at all. The rumours are that he could possibly be gay. However, it’s not been confirmed, neither has it been debunked by him. Also, considering the fact that he fell head over heels for Liv Pollock, there could be the small possibility that he is heterosexual or bisexual. As earlier stated, none of this has been official. The fact on hand is that he is straight and has enjoyed a great relationship with Liv Pollock. What is Dacre Montgomery’s Height? You can’t take it away from him, Dacre Montgomery has a very nice body structure. His physique is such that he is the delight of his female fans. His height is quite impressive. He stands at 5 feet 10 (1.78 meters).